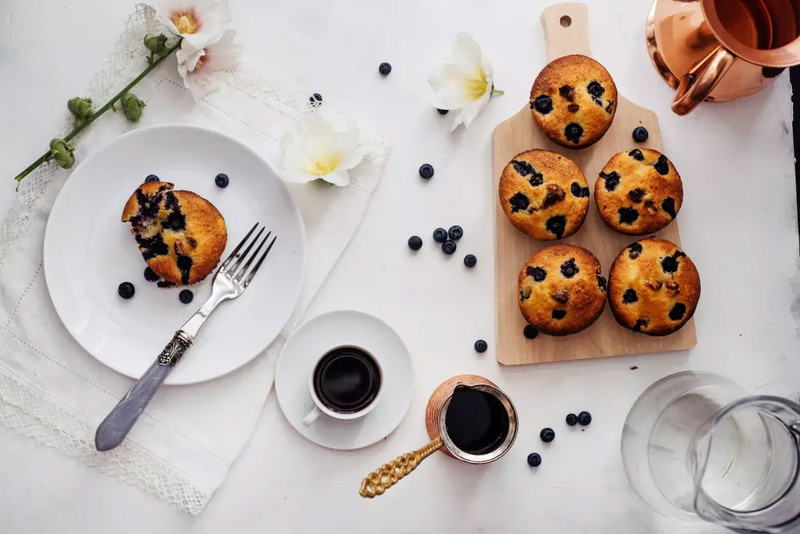 The season is here, go & enjoy the fresh blueberries. They taste sweet and you can almost feeL; the nutrients entering your body. Put some parchment paper on a large baking sheet. 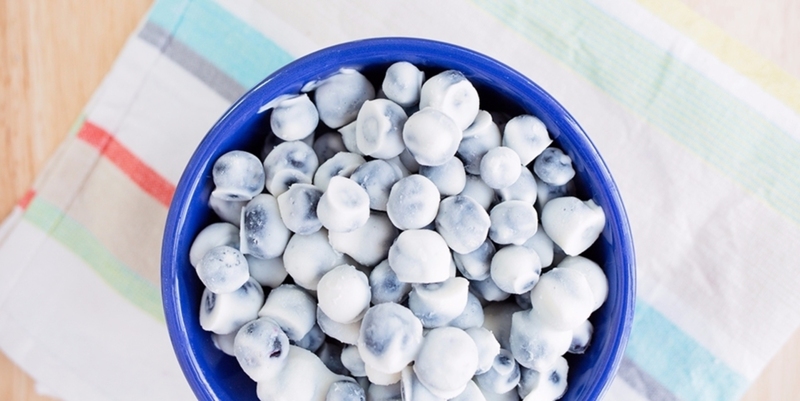 Mix together the blueberries and yogurt in a bowl. 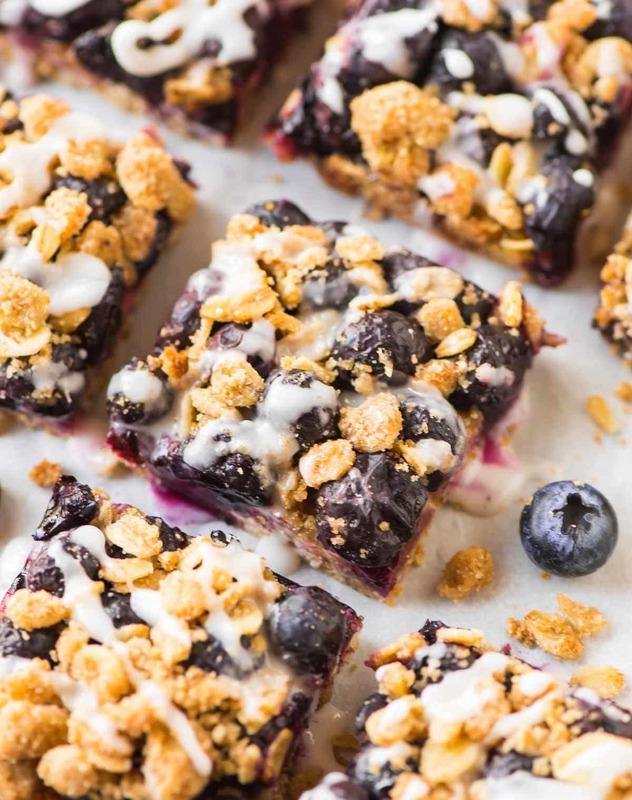 Then, place individual yogurt-covered blueberries on the baking sheet until all of them are on the sheet. They shouldn’t be touching each other. Stick the sheet in the freezer for about an hour. 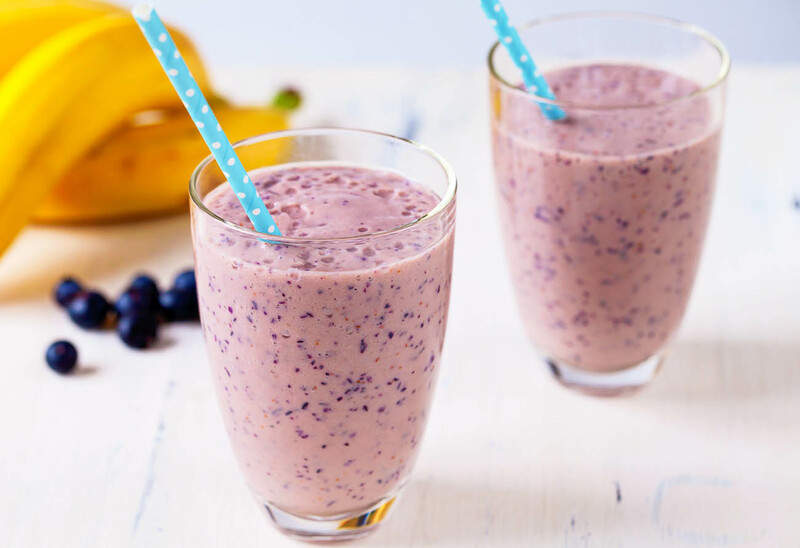 In a blender, combine banana, blueberries and yogurt. Blend on high until smooth. Serve immediately. In a medium bowl, combine the oats, flour, brown sugar, cinnamon, and salt. Pour in the melted coconut oil or butter and stir until it forms clumps and the dry ingredients are evenly mixed. Set aside 1/2 cup of the crumble mixture, then press the rest into an even layer in the bottom of the prepared pan. 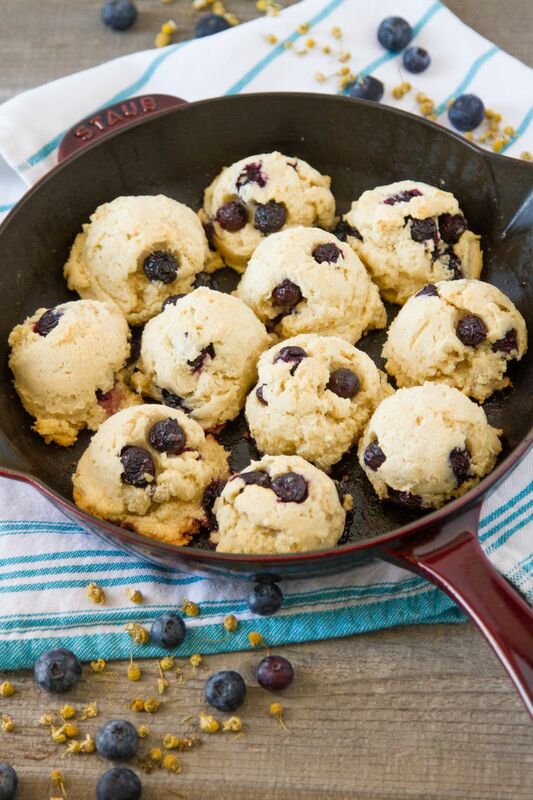 In a small saucepan, over medium heat, combine blueberries, lemon or lime juice, honey or sugar and corn starch. Heat and stir for about 5 minutes until fruit begins to thicken. Pour fruit mixture over the bottom layer in prepared pan. Sprinkle remainder of dry ingredients on top. Gently press the crumb down into the fruit. Bake the bars for 35 to 40 minutes, until the fruit is bubbly and the crumb topping smells toasty and looks golden. Place the pan on a wire rack or in the refrigerator to cool completely. Once cooled, use the parchment paper handles to lift the bars from the pan. Slice and serve. Store in sealed container in the refrigerator. Preheat your oven to 450 degrees. In a large bowl, combine the flour, salt and sugar. Add the blueberries and toss them gently. Spoon this mixture into a lightly greased 8-inch square-baking dish. 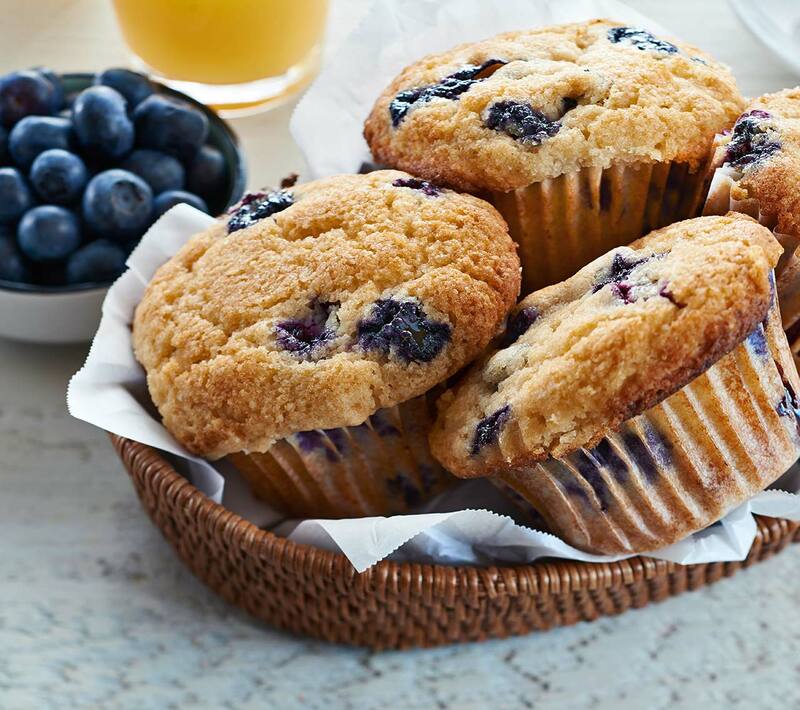 Sprinkle lemon juice over the blueberry mixture and dot it with thin pats of butter. Cut the piecrust to fit the top of the dish and place the crust over the filling. With a sharp knife, make several slits in the pastry to allow the steam to escape. 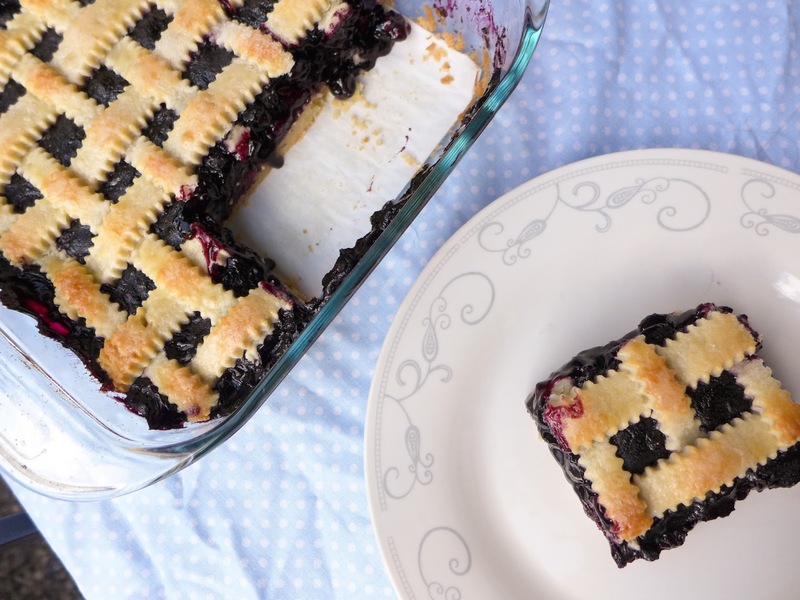 Bake this square pie at 450 degrees for about 20 minutes or until the crust is golden brown. Serve this dessert warm. In another bowl, whisk eggs, buttermilk and butter that has been melted and browned slightly. Make a well in dry ingredients and pour in liquid ingredients, mixing quickly. Spoon batter into greased muffin cups and bake till golden brown. Bake at 400 F for 20 -30 minutes. 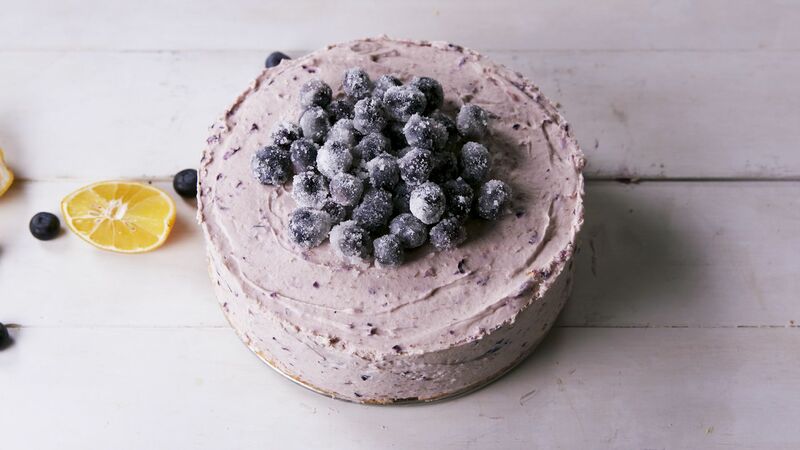 Go out to enjoy this seasons blueberry.